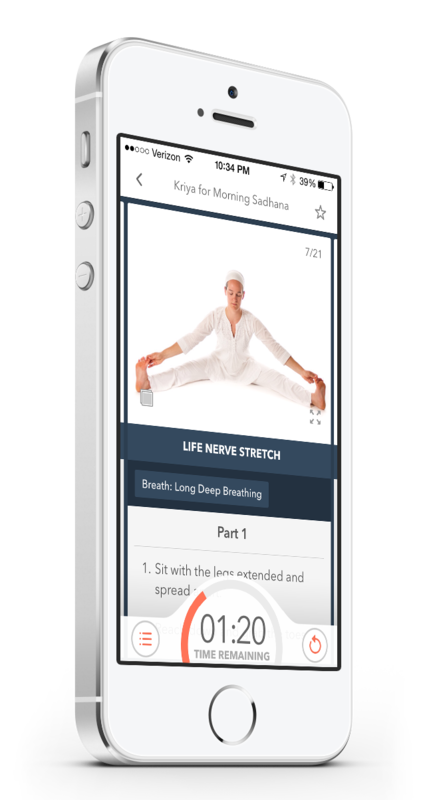 For a limited time, get 10% off the Kundalini Mobile app. For more details, click here. Kundalini Mobile is the most comprehensive digital resource for Kundalini Yoga and Meditation. Access all your favorite kriyas or discover something new by exploring tags. With search, filter, and sort capabilities, it’s easy to find the yoga set or meditation that fits your needs. 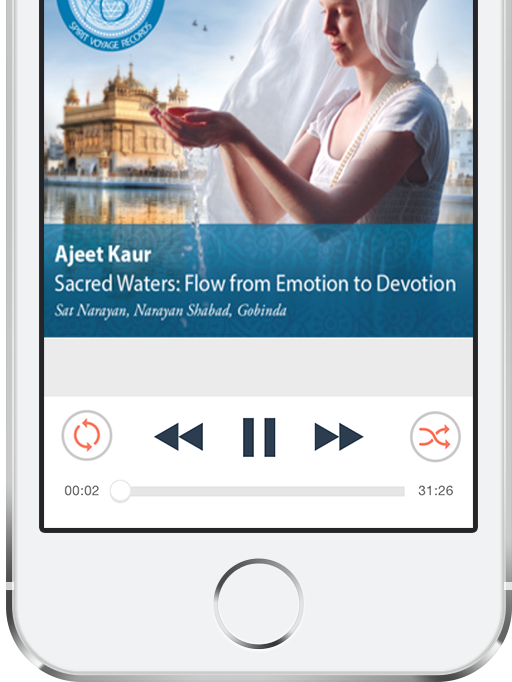 With our music streaming library, you can listen to your favorite kundalini music wherever you are. Tracks from Snatam, Nirinjan, Mirabai Ceiba, and many others will uplift and inspire you. Assign music to meditations or just listen as you go about your day. Connect with, inspire, and be inspired by the global Kundalini Yoga community. Our live activity streams, user comments, and social sharing features will keep you always tuned in. Ask a question, give an anser, or just share your experiences. 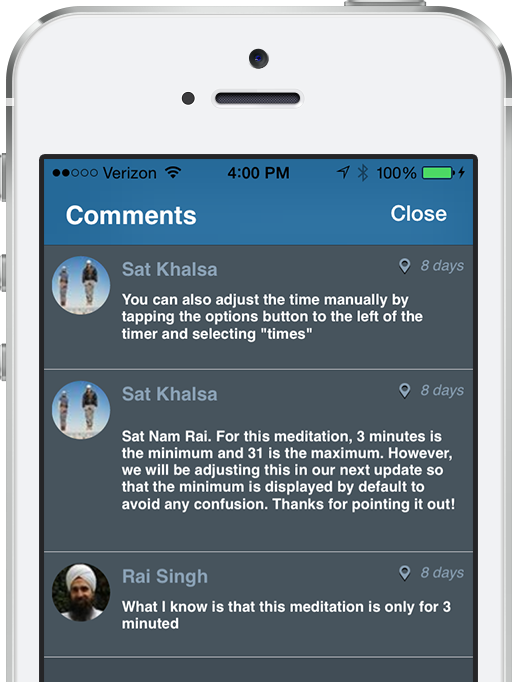 Whether you’re new to Kundalini Yoga or an advanced practitioner, our pre-configured timers make it incredibly simple to get started. Each timer is adjustable, giving you complete control over your practice. Adjust the total kriya time, and all the exercises will adjust proportionately. Or fine tune the time for a particular exercise. $9.99 / Month. Unlimited access. 14 day FREE trial included with each account. Kundalini Yoga is also known as the Yoga of Awareness; its focus is on self-awareness and delivering an experience of your highest consciousness. It is considered the most comprehensive of yoga traditions, combining meditation, mantra, physical exercises, and breathing techniques. “Kundalini” literally means “the curl of the lock of hair of the beloved.” This poetic metaphor alludes to the flow of energy and consciousness that exists within each of us, and enables us to merge with the universal Self. Fusing individual and universal consciousness creates a divine union, called “yoga.” The Upanishads, dating back to the fifth century B.C., describe the kundalini, although the oral tradition reaches back even further into history. For thousands of years, this sacred science and technology was veiled in secrecy, passed along verbally from master to chosen disciple. 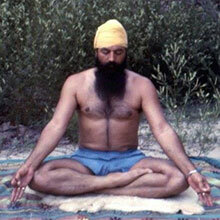 Yogi Bhajan (born Harbhajan Singh Puri in 1929) brought Kundalini Yoga to the West in 1968. As a young man, he sought out and visited every holy person he could find. He studied the spiritual teachings, scriptures, and technologies of all the religions of the world. Yogi Bhajan learned Kundalini Yoga with Master Sant Hazara Singh and he became a Master himself at the age of only sixteen. From 1968 until he passed in 2004, Yogi Bhajan taught over 8,000 classes and inspired hundreds of thousands of people to keep up and live in their excellence. 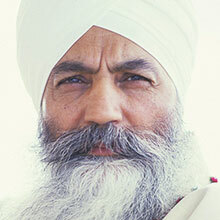 To learn more about Yogi Bhajan and his teachings, visit www.libraryofteachings.com. Kundalini Mobile was created with the intention of making the teachings of Kundalini Yoga more accessible and easier to use by leveraging technology. Sat Mandir Singh Khalsa left his job as a Management Consultant in April 2013 to work full time on Kundalini Mobile, combining his entrepreneurial passion with his love for Kundalini Yoga. Sat Mandir has been practicing Kundalini Yoga since he was a toddler and became a KRI certified teacher at Miri Piri Academy in 2006. 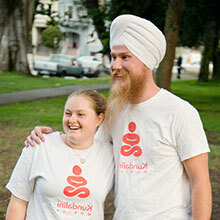 The photography and videography of the Kundalini Mobile app was shot and produced by Gurusurya Khalsa. Gurusurya is a San Francisco based photographer with a lifelong practice of Kundalini Yoga. In 2007 she became a KRI certified teacher while studying in India. The consciousness and discipline of her yoga practice enhances her energetic approach to photography. Gurusurya can be reached through www.khalsaphoto.com.